The Plough in the hamlet of Lupton was built around 1760 but the welcome to this historic pub is contemporary and artful. There is a horse outside, but this is a rather ghostly plough-horse in metal, giving a nod to its rural location and its stylish interior. The pub has recently undergone extensive renovations to transform it in to a modern and high-end bed and breakfast, with a location just perfect for discovering the Lake District, Kirkby Lonsdale and The Yorkshire Dales. We visited at the start of winter when there was a chill in the air and the hills wore a mantle of red and brown hues – a wonderful season to visit this region of the United Kingdom. Less crowded and perhaps more dramatic than the popular summer months. From the outside the Plough looks like so many other roadside inns … well, apart from the aforementioned and imposing horse. It does indeed offer all the cosy warmth of a traditional pub on the ground floor. Yes, there are the expected beams and small windows, but there is a comfortable marriage between those original features and modern good taste. The wall finishes are unique but complement the wooden furniture and soft lighting. 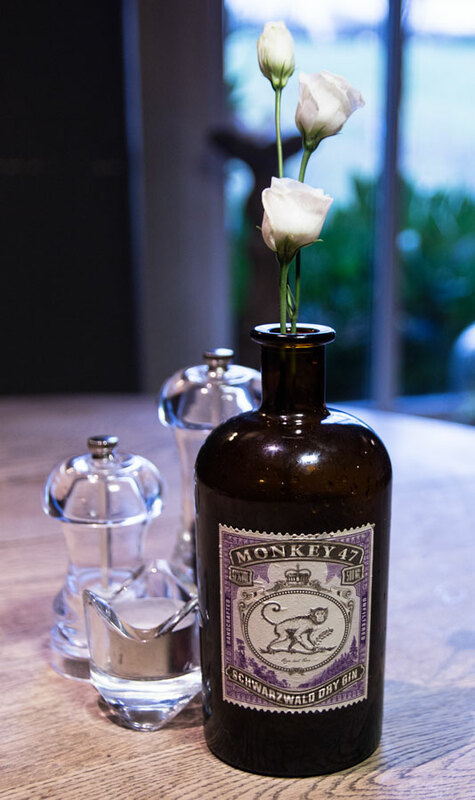 There are carefully placed vignettes of flowers, leather luggage and gin bottles (empty) to charm the visitor. Wood-burning stoves provide not only heat but ambiance over winter. 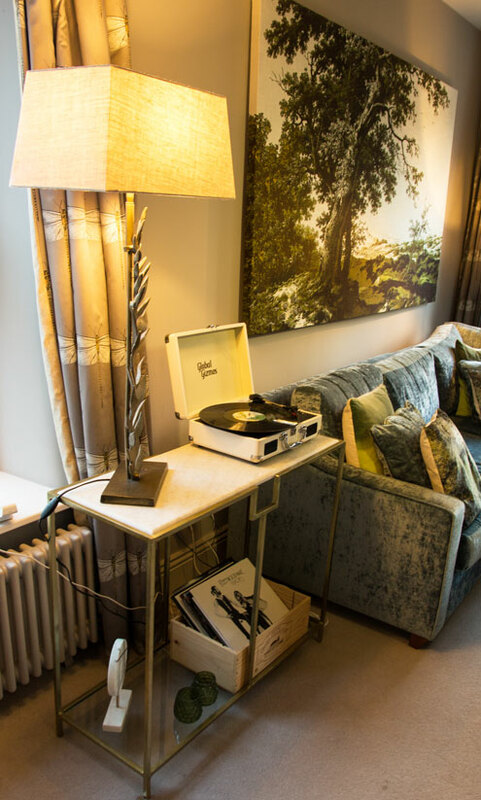 There are half a dozen bedrooms here and each one is individually designed with soft furnishings, plush sofas, fur-draped wicker chairs and even record players. Yes, the sort that plays those flat black things that we enthusiastically melted and turned into flower pots in the 1980s. Walls are painted in soft muted tones which reflect the rural location. I have stayed in hotel rooms smaller than our bathroom at The Plough. The free-standing bath was tempting but so was the sumptuously tiled and sizable shower. Two separate basins with plenty of space between and piles of fluffy towels made an overnight stay here a pampering experience. After a good night’s sleep and a good 15 minutes of thinking about taking a walk, we arrived exhausted for breakfast. For many of us this truly is the most important meal of the day. There is a good morning spread here: there is a platter of berries and pots of yoghurt; a heap of freshly baked pastries and bread with pats of butter; jugs of fruit juices and pots of tea and coffee. And then there is the cooked-breakfast menu. There is a Plough Full Breakfast with all the usual suspects, plus black pudding which is always worth ordering when traveling north of Watford. There is the vegetarian version which offers vegan sausages to replace the traditional Cumberland sausages. 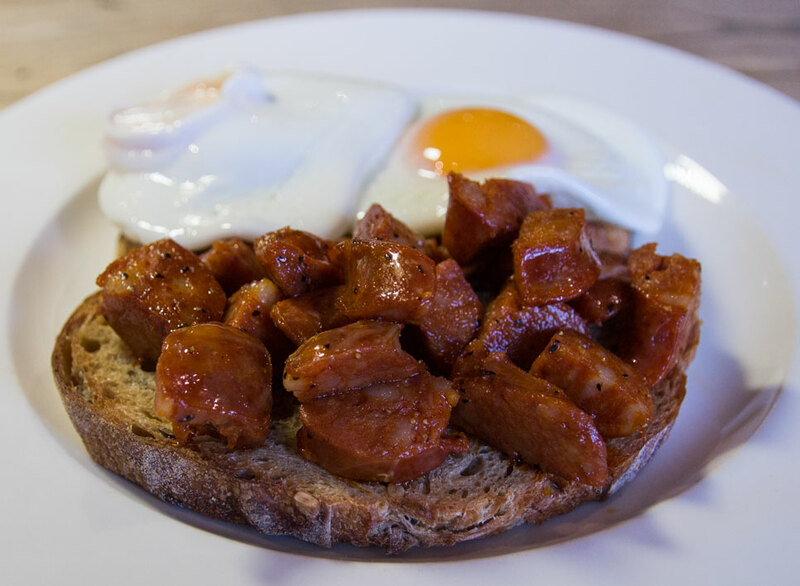 The Plough has various breakfast dishes apart from those full plates, and all of them sounded delicious. I chose the Dry Cured Bacon Bap as a somewhat lighter option. Two ample rashers were sandwiched between the top and the bottom of a brioche bun, the salty tang of the bacon being off-set by the sweetness of the bread. My guest was taken by the Yorkshire Chorizo. This was presented atop toasted sourdough bread and partnered with a brace of fried eggs. The chorizo was less spicy than some Spanish varieties but well-flavoured and succulent. The plate was pronounced an excellent start to the day. I am impressed with every aspect of The Plough Inn. Its public spaces are charming and its rooms comfortable, thoughtful and contemporary. This would be a great short-break base, and we are already planning our return.